Magento 2 SEO extension is synthesized with the most approaches to enhance your rank on search engines as well as bring a better experience for your visitors. Indeed, the extension is created to be convenient for you to use. Once Magento 2 SEO extension is installed, all features are automatically enabled for immediate effect. You may wonder about why your e-commerce store need an immediate improvement of SEO? Undeniably, people usually only click on 3 to 5 links on the top of search results. Hence, to draw visitors attention to your store site, your website need to stably stand on the top 5 links appear on search engines with relevant keywords. With the help of Magento 2 SEO extension, your store website will be upgraded with a pack of various latest tools to boost your ranking. 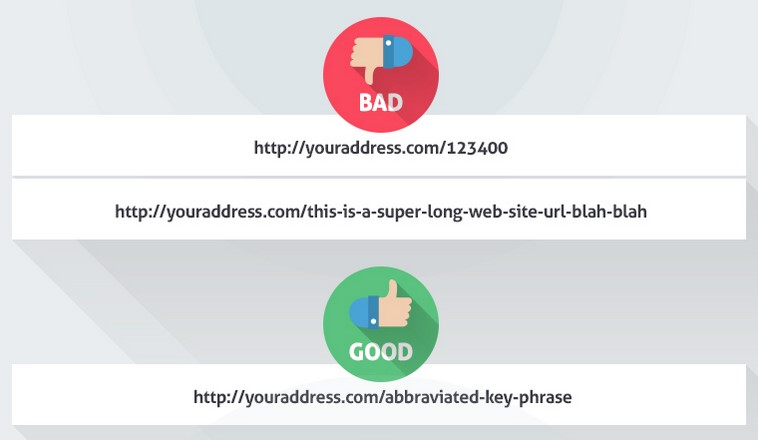 Moreover, your URL will be more friendly to shoppers when being simplified. In short, Magento 2 SEO extension is all you need for the better SEO. As Magento default do not support for SEO while better SEO is a requirement to attract shoppers to go to your store, you definitely need an extension to productively boost your ranking. However, the ranking on search engines is not enough. 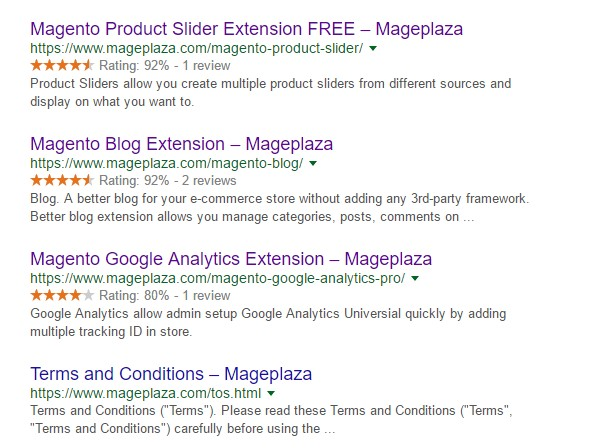 Magento 2 SEO extension has more for you. Smart Meta tag, Schema.org data structure, friendly URL, .htaccess and robots.txt editor, and optimized breadcrumb are all technical assets to build a favorable interface with visitors as well as help your site better displays on search engines. On the other hand, Magento 2 SEO extension is also integrated with Google services and Social channels to bring more interesting experience to your shoppers. To effectively enhance SEO for your store, the most powerful and updated tools have been integrated into Magento 2 SEO extension. Meta tags, Meta title, and Meta description are added to increase the quantity as well as the quality of the tags, titles, and descriptions for your store. This will help your website to attract more visitor with smart keywords which can affect your ranking on search engines. Schema.org data structure will be added to your store by Magento 2 SEO extension to create a set of schemas for structured data markup for web pages, email messages and beyond. The addition of schema.org data structure is automatical and right after you finish the installation of Magento 2 SEO extension. 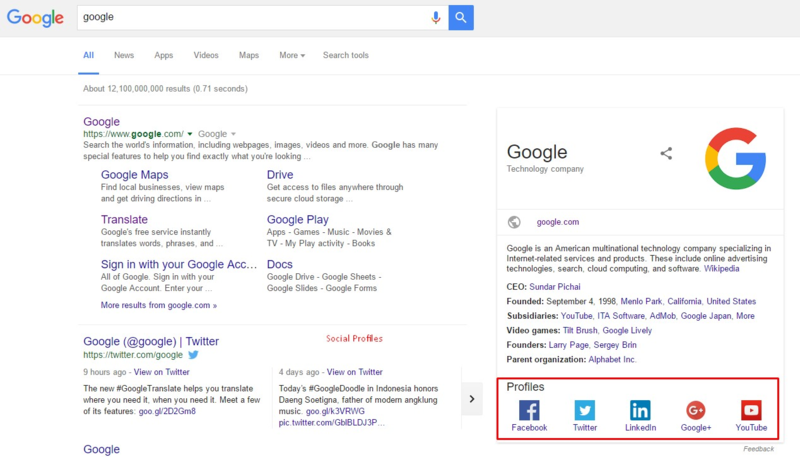 Thus, your store will be displayed better on the search engines. Furthermore, with Schema.org data structure, your shoppers will readily use the layered navigation to search their favorite items through the search box, tag list, and filter instead of viewing thousands of products before getting to the specified one. With the fast development of social network nowadays, not planning for a Social media marketing is the greatest shortcoming of your store. Hence, Magento 2 SEO extension supports plenty of social channels such as Facebook, Twitter, LinkedIn, Google+, YouTube, etc to make your site become more reliable to visitors as well as increase your rank on the search engines. 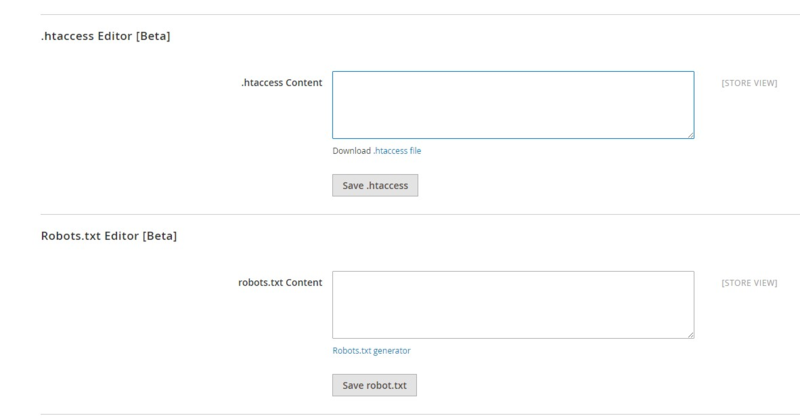 .htaccess and robots.txt files are essential for SEO. Thus, Magento 2 SEO extension is configured to assist store admin in easy editing .htaccess and robots.txt file in the backend. In another way, you do not need to go back to .htaccess and robots.txt files in the storage and change the PHP code directly anymore. This effortless setting will allow you to quickly update .htaccess and robots.txt files for advanced SEO. 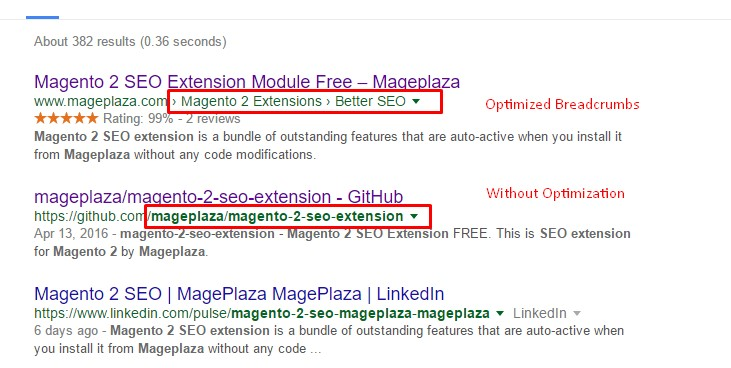 Magento 2 SEO extension will level up your site with the breadcrumbs optimization. Particularly, the Breadcrumb will show the structure of link that customers access such as “Home > Category > Post”. With the breadcrumbs optimization, your shoppers can unquestionably make out where they are in your store. This makes your website appears to be more professional than others. With many years of experience being the developer for Magento extension, we are confident to announce that Mageplaza extensions are fully compatible with extensions from almost of other providers. In case our extension is not compatible directly, we will work with the third provider to fix it in the perfect way without any extra fee.